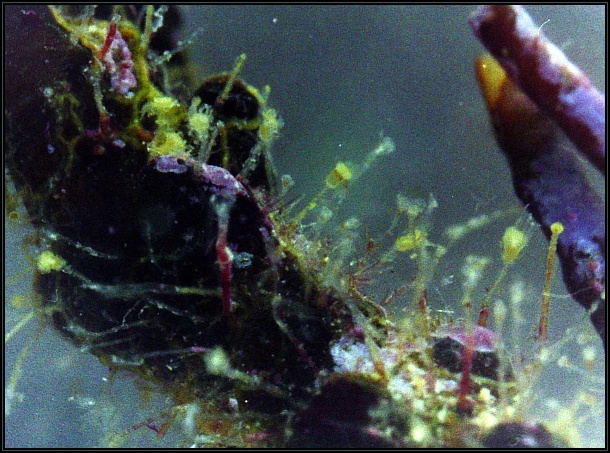 Clytia noliformis is a very small stolonal species of hydroid, growing to about 1.5mm in height. 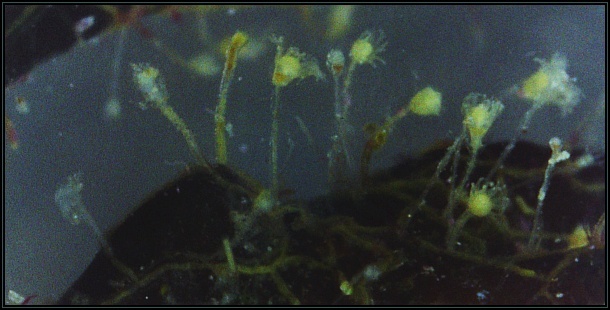 It was found growing on the brown alga Cystoseira sp. It is considered as a circumglobal species. 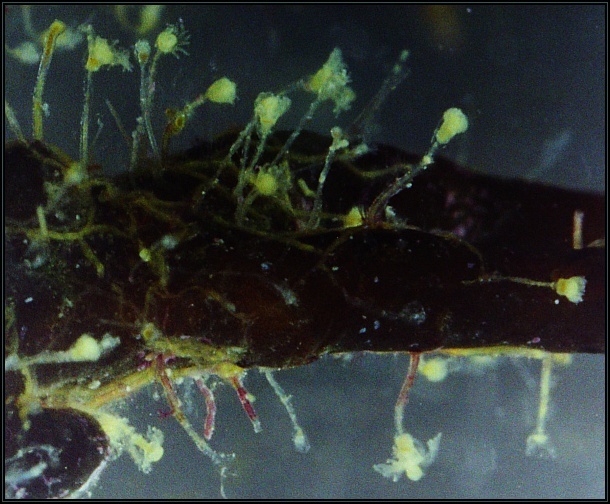 This specimen was identified and described in more detail (p. 190 & Fig. 6e-f) in the following paper published (2013) by Soto Àngel and Peña Cantero.